An SMA period for trend identification. We’ll call this entrySMA. A smaller SMA period for the exit point. We’ll call this exitSMA. An RSI period for entering both short/long positions. We’ll call this rsiPeriod. An RSI oversold threshold for long position entry. We’ll call this overSoldThreshold. An RSI overbought threshold for short position entry. We’ll call this overBoughtThreshold. 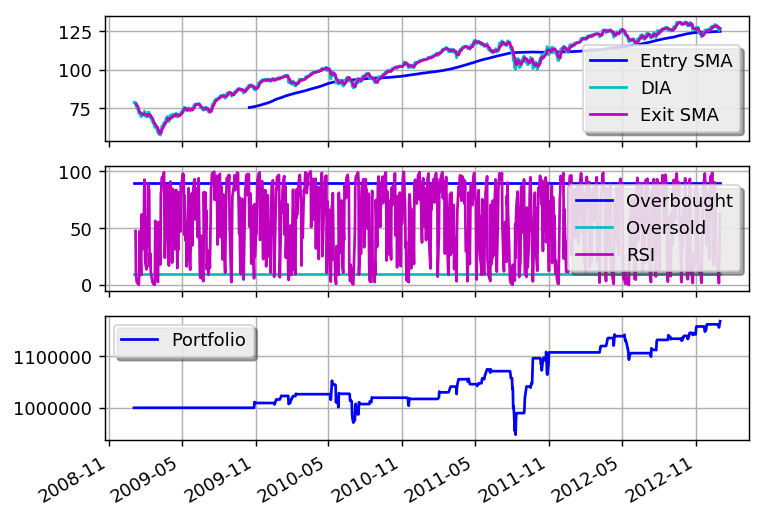 You can get better returns by tunning the different parameters.